Tom is a freelance theatre director and is currently the resident director on ‘Miss Saigon’ (International Tour)and most recently the West End Transfer of ‘Half a Sixpence’ at the Noel Coward Theatre, London directed by Rachel Kavanaugh. Tom trained at Arts Ed London, Theatre Royal Stratford East and the National Theatre Studio and with Living Pictures. Tom worked professionally as an actor for five years working in London and internationally in Plays, Musicals and on Film and TV. Theatre Credits included, ‘Mamma Mia!’,’Seven Brides For Seven Brothers’ and ‘A Clockwork Orange’. Film and TV credits included ‘The Young Victoria’ and ‘Peak Practice’. Tom made the transition into directing in 2010. In 2016 Tom’s production of ‘Fabric’ by Abi Zakarian won The Scotsman Fringe First Award and was chosen by Lyn Gardner as one of the ‘Top Shows To See’ in The Guardian at the Edinburgh Festival 2016. He also directed brand new site-specific comedy ‘Foiled’ was a Pick of the Fringe in The Stage and also heard on BBC Radio 2. Following a successful run at Edinburgh Festival (2013) and two UK tours, Tom’s production of ‘Our Friends, The Enemy’ transferred Off-Broadway to Theatre Row, 42nd Street in New York City in December 2015. In London Tom directed ‘The Dogs of War’ by Tim Foley (2015) which was Pick of The Week in The Stage and won the OffWestEnd.com award for most promising playwright. In 2013, he directed the sell-out 21st anniversary production of ‘The Fastest Clock In The Universe’ by Philip Ridley at the Old Red Lion, London. The show was selected to be filmed for the V&A National Video Archive of Performance. From 2013-2014 Tom was acting Artistic Director of The Company Music Theatre directing productions of ‘How To Succeed in Business Without Really Trying’ and ‘The Wedding a Singerr’ at The Lowry, Salford. 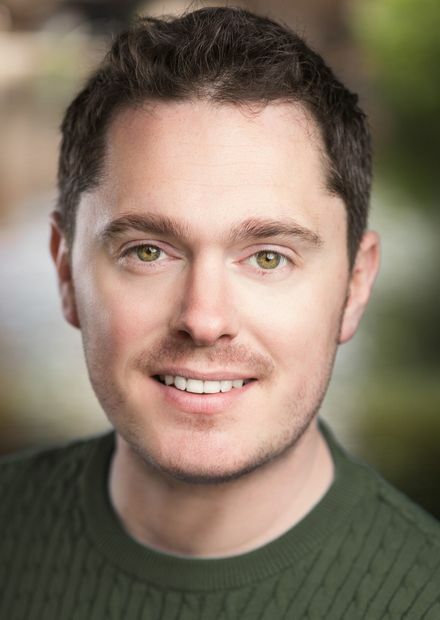 Tom has worked as a visiting director at Arts Ed, Mountview, Liverpool Theatre School and Birmingham Ormiston Academy and as a drama workshop facilitator for Royal & Derngate, Northampton, West End in Schools, Peploe Williams Academy & Stagecoach PLC.